Having a deep understanding of who your customers are, how they interact with your website and what they really want is crucial for the success of your business. You need to be able to track how they arrived at your website, which webpages they have spent time on, from which page they have left, etc. The more you are aware of this data, the more you can fine tune your website to attract more potential customers and make them perform the desired action. You may now be wondering how this can be done and what the right tool for this is. Without a doubt, we would recommend Google Analytics. 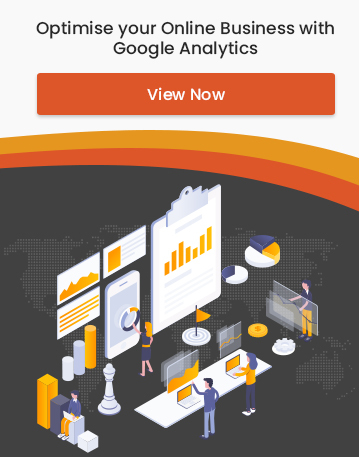 Google Analytics is a free website tracking tool that provides a set of statistics and analytical tools for your website. These tools enable you to inspect visitor activity on your website so that you can evaluate how successful you are, in converting those visitors to your customers. Since you can get specific details of the visitors like their geographic location, the device/browser they are using, their age, gender etc., you will have a clear picture of where you have to focus on, in order to boost your business. Google Analytics provides real-time analytic reports of your website, so you can monitor all visitor activities at any instant of time. It is free of charge and even richer in terms of features, compared to other paid reporting tools in the competition. Availability of many add-ons that make the tool more efficient and powerful. It is possible to create custom reports for both internal stakeholders and also for clients. Enables you to inspect internal site searches, to find out what visitors have searched for, on your website. Google Ads collaboration enables you to check the effectiveness and outcomes of your online ad campaigns. Review of traffic to your website from various sources. If you want to analyze your website using Google Analytics, you have to first sign in using your Google account. After entering the URL of your website in the Analytics setup page, you will be given a unique tracking code for your website. You have to copy this code and add this to the HTML code of each webpage of your website to track your website. After you paste this code to your webpages, you can test this immediately by going to the Real-time reports to see if the code actually worked. Open the site in another tab, and you should see one active user in Real-time reports. If not, there must have been some kind of error in the Analytics implementation. The Analytics Home provides an overview of the different analytics reports of your website. You can see a glimpse of the Real-time report, the sources of your website traffic, active users, geographic location of your visitors, etc. Here you can set custom reports and view the statistics. You can choose the metrics that are necessary for your analytics report and add them, along with the particular dimensions to sort them through. You also have the option to share them with your clients or the concerned. Real-Time reports are the monitored activities of your website in real-time. Overview: This report shows the metrics like the most actively viewed pages, the geographic location of the viewers, top referral sources to your pages and the top social traffic. Location: Here you can see the countries that you have website visitors from. Traffic sources: You can use this report to know the sources from where your website visitors have landed. The sources are classified as direct, organic, referral and social. Content: This shows the real-time report of the webpages that have been visited in the past 30 minutes. Event: Event report shows you the events your website visitors interact with. Conversions: The real-time conversion reports inform you of the goals that were completed by your visitor. Goals include clicks, conversions, visits to a certain webpage, et al that you must pre-define. This report gives details about the active users of your website. Demographics: Lists out the visitors based on their age and gender. Geo: Groups users based on their system language and geographical location. Behavior: Shows number of users, classified as new visitors and returning visitors. Technology: Specifies the browser, operating system and the network service provider used by the visitors. Mobile devices: Lists out the mobile devices that were used to visit your website. Benchmarking: This section gives a firm insight on metrics like the number of sessions, pages per session, average session duration, bounce rates, etc. By looking at the acquisition report, you can easily get a view of the top channels that send visitors to your website, and also the corresponding Acquisition, Behaviour and Conversion details for each of these channels. Channels: The Acquisition, Behaviour and Conversion details are represented graphically. All traffic: Here you can view the listed traffic sources from all the different channels combined. All referrals: The specific website domains and also the specific pages that have referred traffic to your website are listed out here. Campaigns: This report aims at tracking your website visitors from the campaigns you had previously set up. Keywords: The different keywords used by your visitors to find your website are specified here. Social: The social network activities that are related to your website are given here. This section provides data showing the amount of website traffic you received and also other metrics. Behavior Flow: This section gives you an insight about the path taken by your visitors on your website, that is, the details from the first page they have landed, till the very last page, before leaving your website. Site content: This report depicts visitor engagement with the different pages of your website. Site speed: Using this report, you can identify the specific areas that you need to improve and optimize in your website. The graphical depiction of the average loading time of your webpages is given in order to facilitate this. Site search: This report displays the terms that your website have searched for, in the search box you have provided on your website. It also specifies the pages on which the particular search was made. Events: This report gives you the ability to track the various interactions made by visitors on your website, like clicking on external links, downloading files, etc. Experiments: You can conduct some testing to know which of the landing pages of your website performs the best, in terms of completion of certain conversion goals. Goals: The Goals report gives you an overview of the goals that have been completed by your website visitors. E-commerce: Using this data, you can analyze the effect and performance of your ad campaigns and your webpages in driving sales. Multi-channel funnels: This report gives you an insight into the specific marketing channels that are effective in steering converting visitors towards your website. Attribution: This report lets you view the different paths that customers have taken to complete a specific conversion and also it attributes these conversions to the ads from the different campaigns you have created, and other factors that led them to return to your website and make the conversion. 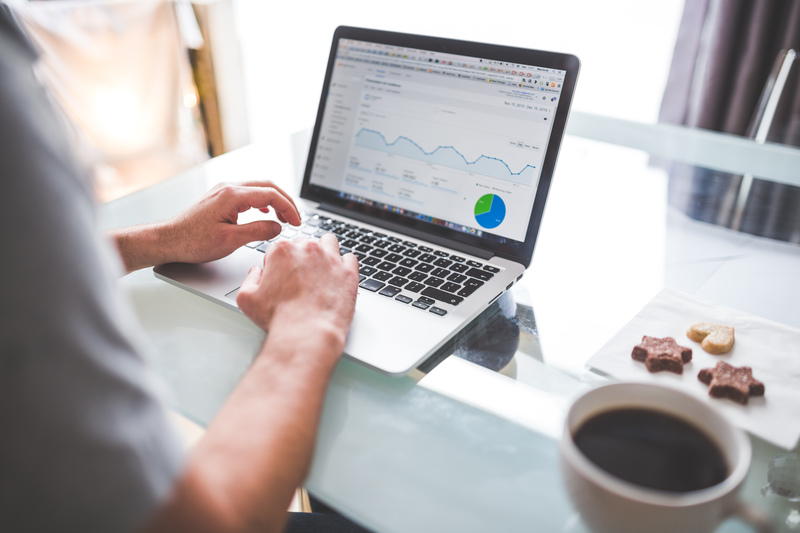 Overall, Google Analytics is a feature-rich tool that would meet your business analysis and reporting needs. It is the best tool that both small and large businesses can invest in, to get the most value out of their business websites. So without further ado, utilize the benefits that Google Analytics has to offer and boost your sales!